But today it was really quiet. I took the north loop in, with the only bird of note being a juvenile Iceland Gull northeast of Allihies as it fed in the surf at Dooneen. Nothing on Pallas Strand, Eyeries nor at Ballydonegan Strand. And the prize winter site here, the fishing port of Castletown Bearhaven (where the Glaucous-winged Gull was), was having an off day. Just two Iceland Gulls, a near-adult and a 2nd-winter, while I couldn't muster up the regular Ring-billed Gull at low tide. And so to Glengariff, a site where I had some wingers a couple of years ago when I twitched the Glaucous-winged Gull. About fifty large gulls here today, none with white wings. 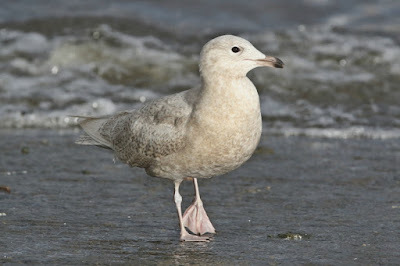 And then on to Bantry and Ballydehob, both sites where I have seen several Ring-billed Gulls in the past. Today, I couldn't find anything of note with copious throwing of Supervalu 79 cent brown loaves. An expensive business for no reward! With my flight back from Mayo tomorrow afternoon, it was time to head north and so that's what I did. With a pleasant stop in familiar territory late afternoon - O'Callaghan Strand, Limerick. 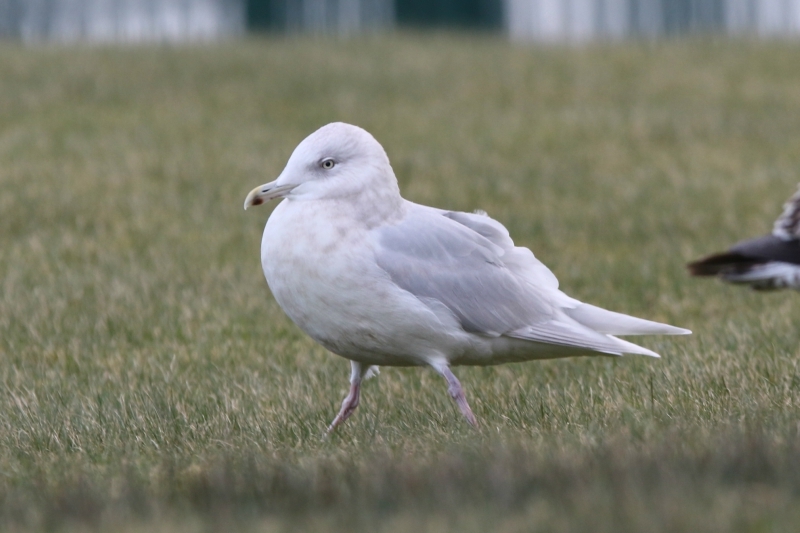 And this proved to be the site of the day, with an adult Ring-billed Gull and four Iceland Gulls (an adult and three juveniles) being the reward. Ten loaves of bread were used here, two mine and then a random punter and his son turned up with eight loaves to feed the gulls! So that was it - a quiet day with 'just' seven Iceland Gulls and a Ring-billed Gull. 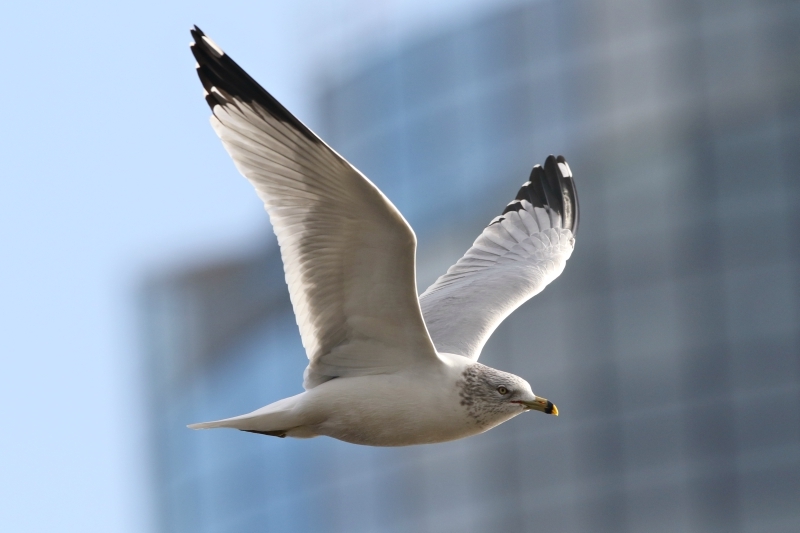 Just one morning left before it is back to Caspian and Yellow-legged Gull hunting.